Trying to help a loved one cope with grief, but just don't know what to do? It is awful when someone you love goes through the unbearable pain of bereavement. As you are discovering, you feel distraught and completely unable to help. You can't take away the grief, but there are many things you can do to make everyday life more bearable for them. This ebook explains how it feels, and also passes on the advice of many other people who have been bereaved. These people know exactly what helped them most (and what was well-meant but not helpful) at the time, and in the months, weeks and years afterwards. There's no need to feel so helpless in the face of grief. This book is full of little ways - as well as big ways - you can help someone you care about cope that little bit better. You really CAN make a difference; why not let this inspiring, creative and practical book show you how? When you are traveling the long, lonely road of grief, there are times when people simply don't know what to say or do and when even the closest of friendships are straining at the seams. When you realize that friends have stopped calling or visiting because listening to your unending pain is just becoming too much. The grief of a friend can be a terrible thing to witness. There is nothing you can do to stem the tide, and yet, you really do want to help. And you can help. You can ease the pain. You can never bring back the person who has died, which is all your friend really wants. But there are dozens of things you can do to lighten the load he or she has to carry. And you can keep on doing it, without getting in the way, not just for a few weeks but for months and even years if you wish. This brave, compassionate ebook is an invaluable resource for the friends and family of the bereaved. "An exemplary work on a difficult subject"
"An invaluable resource for both the bereaved and their friends and family, this compassionate, brave piece of work covers everything from the practical issues (flowers, letters, what to say) to the intangibles (moral support, mental health) to taking those first steps to moving on." what to do and how to help have been so helpful. It has given me the confidence to just do things and offer assistance that otherwise I would have worried about offering." "Just wanted to let you know that I ordered a copy of If There's Anything I Can Do... and I think it is wonderful. My husband died in 2004 and I wish I had had it then. I want to lend it to the whole world and am wondering whether I should buy a second copy in case I don't get it back. Great to read something without reference to the supernatural - except a plea not to invoke it." "Reassuring suggestions for helping out without getting in the way, from a writer whose partner died, leaving her with two young children." What will I find in this book? This book has been written from the perspective of someone whose partner, husband or wife has died, which is the author's own experience. If There's Anything I Can Do also has many viewpoints and contributions from other people who have suffered the loss of a loved one, saying what helped them most (and what was probably well-meant but not helpful) at the time and in the months, weeks and years afterwards. Yet it is not just for someone who has lost a partner; in many cases the principles are equally appropriate to someone grieving the loss of a child, sibling, friend, parent or other relative. But don't worry, it doesn't need to feel like an onerous task - many of the ideas in this book are simple, easy things that are part and parcel of friendship, but can still make a big difference to someone who is grieving. They will appreciate your efforts more than you could ever guess. "Watching a friend grieve for someone they love is heartbreaking. 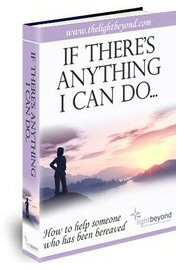 This book makes it easier and shows you ways you can really help." "The author explains that navigating the rocky road to recovery is difficult enough, overwhelming without assistance, and her forthright guide helps everyone to give the sort of help that makes such a pivotal difference in these circumstances." What else will you find in If There's Anything I Can Do? "A genuinely useful guide for bewildered friends who want to help but have no idea where to start." "I wish I had read this two years ago as I have been supporting my bereaved friend and I think this is all fantastic advice." "It's a really great piece, no nonsense, logical, practical help." "It is wonderful. I've saved it to perhaps give to friends and family." 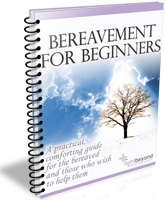 This Fabolous bonus is a practical, useful guide for the bereaved and those who care about them and wish to help them. Packed of essential information, inspiration and words of comfort, it is our free gift to you. 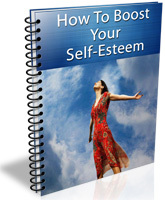 Low self-esteem can literally kill all your chances of success, which is why you must boost your self-esteem. "How To Boost Your Self-esteem," will literally transform you into a highly self-confident, bubbling, cheerful, and enthusiastic individual. The book is crammed with excellent self-esteem tips, all aimed at transforming and empowering you to become a go-getter. If you are of the opinion that it is impossible to get what you want in life, and that it all depends on fate, this book will change your mind completely. This powerful, 70-page book tells you exactly how to get whatever you want in life. 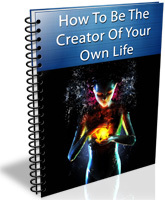 With its highly effective tips, this book can really change your life for the better. This book is for those who feel that humanity is just a ball in the hands of fate. Its powerful content teach you how to create your own life, to be what you want to be, to achieve what you want to achieve, and in short, to live a fulfilling life. 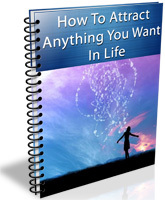 The number one tips within it tell you how to get whatever you want from life, from jobs to happenes and relationships. If you haven't seen our inspirational movie yet, once you order you will have the opportunity to download and watch the High-Definition version on your computer. With higher-resolution photos and full stereo sound, it will be a delight to watch in full-screen, and is also perfect for a large-screen event. If you haven't seen our inspirational movie yet, you can watch the low-quality version below - it will take less than 5 minutes. We're not pretending it's going to change your life, but if it even makes you feel better during the time it takes to watch it, then that's a wonderful thing. If for any reason youre not happy with your purchase, I dont want your money! Simply contact me (using the contact form - the link is at bottom of this page) and Ill gladly issue you a full refund. Order "How To Help With Grief" Now! You are about to get instant access even if it's 3 a.m. in the morning. Your order comes with a 60-Day, 100% Money Back Guarantee - because I am sure you will not regret your decision. How To Help With Grief is in digital format (PDF), which means there is no need to wait for it to arrive. What if you need technical or pre-sales support? If you have any further questions, Please contact me from this page and I will help you out. Do you also receive emotional support? Yes! We also have a busy bereavement forum with plenty of virtual shoulders to cry on. It's a safe haven where you can discuss issues relating to grief, death, dying and anything else. It's free, and you get instant access to the forum when you purchase Do Not Stand At My Grave And Weep. We are truly sorry for your loss. Our thoughts are with you.